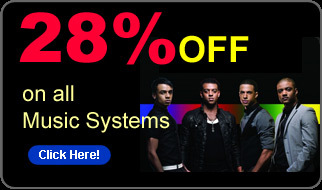 With the touch of a button, shift into the position developed for astronauts by the U.S. space program. Recreating the position the human body naturally assumes under the micro-gravity conditions of outer space, the places the body in the least stressful and most comfortable positions for effective massage. Zero-Gravity Position 1: The Backrest, Footrest and Seat adjust automatically to the body’s perfect and natural position. All massage functions can be used in this position. 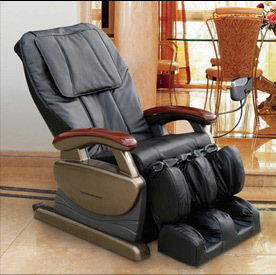 Zero-Gravity Position 2: With another push of the button, the legs are further elevated and Backrest reclined for extreme circulation and relaxation. An air-only Comfort Course delivers gentle stretch and compression massage to the lower back, hamstrings, calves, ankles, and feet via 24 independent airbags. Redesigned Exclusive GK Rollers. Thumb-shaped rollers reach out and comfortably squeeze the neck and tops of the shoulders, emulating the “grasping and kneading” of a live massage. Exclusive Stiffness Detection Sensor. Pulse and perspiration are measured through photo-sensory and galvanic skin response to detect personal areas of stiffness and tension. A truly customized massage follows, focusing on detected areas of stiffness and tension. 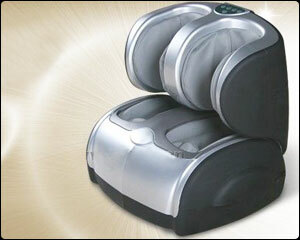 Exclusive Multi-PointShiatsu Shiatsu Leg and Foot Massage. Airbags deliver deep and penetrating relief to feet, ankles, calves, and legs. Heat setting can be used to promote circulation and relaxation. Physical Shape Sensor adjusts massage rollers automatically to accommodate various body types and shifts in position during massage. Adjustable Leg Extension fits most body types. Reversible Control Panel with Large Multi-Color Display informs the user of massage status and detected areas of stiffness. Can now be positioned on the right or left side of the chair! 5 Automatic Massage Courses for targeted relief of problem areas. 4 Full-Body Sensor Automatic Massage Courses. 83 Combination Manual Courses include Grip, Shiatsu, Kneading, Tapping, Kneading & Tapping, and various Stretches. Mouse-Shaped Sub-Controller contains the stiffness detection sensor and controls for fine-tuning massage. 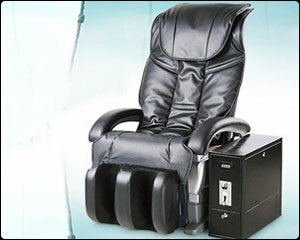 Power Footrest and Recline to 170 degree angle. 31” Vertical Stroke Length of Massage Rollers. 5 width settings to accommodate your personal size. Repeat Feature for continual massage of targeted areas. Soft synthetic black leather covering. 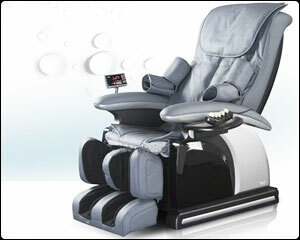 Setted with auto massage and feet massage modes. Air massage has three intensity: Strong,middle and weak. The calf can be backward moved at 45degree. The moving scope of sole massage rollers can be adjusted according to user’s feet size. Fashion classical modellings, whole one of parts mould plastics shaping, back, automatic to go up and down cushion leg. Neck give a piggyback waist set up and pinch massage organization rubing at four, the cushion beats hitting, vibration massage by shoulder, The shank splint is rubed and pinches. The back is set up and walks in the intelligent massage organization of the manipulator from head to foot, the cushion beats hitting, vibration massage, The massage of gyro wheel of pearl type of shank. 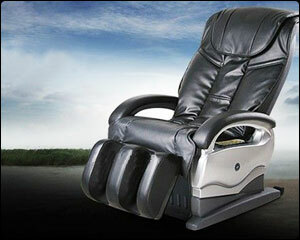 Designed with a four-wheel driven muted massage mechanism which can move up and down in the backrest. 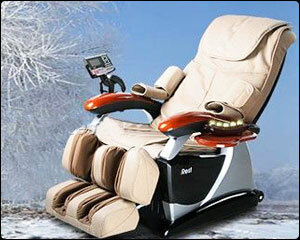 Programmed with five emulational massage function of shiatsu, kneading, flapping, knocking, kneading and patting. Designed with two control modes for the upper body: automatic one and manual one. Under the manual state, there are three options of the overall, fixed and partial area. The massage hands can move up and down with five levels of speed under the fixed state. There are three width options for the massage hands under the state of shiatsu, patting and knocking. The calf rest can be power-lifted and reclined separately or together with the backrest. Five degrees of the shoulder height adjustment and can be recorded. Restoring the massage hands after turning off the machine. Choose one of the best four jades in China-Xiu jade as the infrared emitter. Enhance biology oxidation and deoxidation, reduce redundant fat to improve corporeity. Activate the hormone, leaven and physiological function, get rid of toxin. Be effective in preserving heat, accelerate blood circulation and recovery of the injury, wipe off gore, revive the nerve fiber to come around and muscle function. The temperature of the bed is set between 45 Degree centigrade and 70 Degree centigrade with 5Degree centigrade interval. There are six levels (the default temperature is 50 Degree centigrade. The temperature of the handed heater is between 45 centigrade to 55 Degree centigrade with 5 Degree centigrade interval?There are three levels (the default temperature is 50 Degree centigrade). This function can only be used during the machine working.There are five different timing of 10min, 15min, 20min, 30min, and 35min.default time is 35Min.. The massage function of upper body and lower body can be stopped individually. It is designed with automatic turning off of the heating light when it is used Unconventionally. 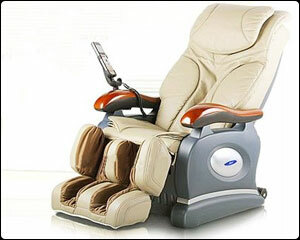 This product is designed with a four-wheel driven muted massage mechanism which can move up and down in the backrest. 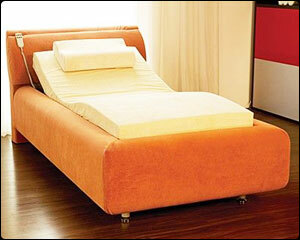 It is programmed to act pressing,kneading,tapping,knocking,synchronized kneading and knocking massage method. It is designed with two control modes for the upper body: automatic one and manual one. Under manual modes, there are three options: overall massaging, fixed massaging and partial massaging. And under the fixed massaging state, the massage mechanism can be adjusted up and down in five speed; When pressing,flapping and knocking act separately, the width of the massage mechanism has three options: wide,middle and narrow. The seat cushion is equipped with four air bags, the calf is equipped with twelve air bags and the foot is equipped with ten air bags. There are four massage modes and two intensities option available. There are four mastoids which are set in both calf and foot position to act strengthened massage to the periphery area of the calf muscle,foot point and the reflecting area such as lung,heart,liver,gallbladder,kidney,duodenum,pancreas,head,shoulder,esophagus,eye,ear,thyroid gland and trachea. This product is designed with heating massage function in the foot area which are used to make the temperature of partial organ rise up and promote the metabolism and activity of the cell to improve the effect of foot massage. Two part calf rests are set to be electrically rose up and down separately or together with the backrest. When you turn on the controller, the position of the massage mechanism in the shoulder can be adjusted in five degrees and can be memorized. When the controller is under recover state, the massage mechanism will return back to the highest position of the backrest and stop massaging. Special safety design- when the calf rest is moving down and touch remora such as children and pet, the declining part of the calf rest will separate automatically to efficiently protect the safety of life and wealth. This product shows great in the humanistic ,luxurious and classic design and are comfortable to sit in. Backrest: Mechanical massage hands; Simulating massage modes as shiatsu, kneading, patting, knocking, synchronously kneading / patting; Back thermotherapy; Vibration massage. Cushion: Vibration massage; Air pressure massage. Calf Rest: Air pressure massage; Auto lifting; Automatic separation when obstructed by foreign objects; Magnetotherapy of calf and sole. Remote control: VFD color screen display; MP3 Player, Earphone VFD color screen display; Mini tea tray. Thermotherapy device: With temperature from 40 Degrees to 70 Degrees . Programmed with six kinds of emulational massage functions of shiatsu, kneading, flapping, knocking, synchronous kneading and flapping, and vibrating. Offers manual massage for the upper with three options of the overall, fixed and partial area with five levers of speed respectively. Under the massage modes of flapping, shiatsu and knocking, the width between the two massage hands can be adjusted in three levers of wide, middle and narrow. Under the fixed state, the mechanism can be adjusted up and down to accurately fix the position. Equipped with 33 airbags with three air pressure modes and two strengths option. 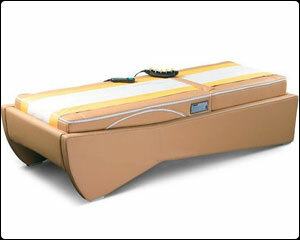 Vibration massage function in back and buttocks with three options of strong, weak and off respectively. Four airbags work around the arm. Music and volume adjustment function: previous and next song selection. Synchronous music massage function: The vibration intensity and the massage speed of the back consist with fluctuation of the high frequency part of music while the vibration intensity of buttocks is with the low frequency. Under this state, the volume is adjustable by wire controller. Automatic lift function: The calf rest and backrest can be power-lifted and reclined respectively and simultaneously. Automatically restoring of mechanical hand function of back and calf rests. Programmed calf rest separating function concerning barrier encounter while declining. Fomentation device equips a jade heater that gives out infrared through five helium-neon bulbs. The temperature is adjustable from 40c to 70c. Equip with extre large LCD display, MP3 player, headphones, Mini cup tray,Jade heater. 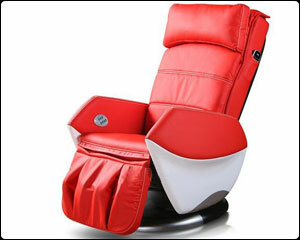 Stylish and beautiful shape, luxurious taste, comfortable sitting and lying massage experience. A set of mechanical massage hands is designed which can move upwards/downwards, is driven by two wheels, guided by four wheels and is silent in operation. Four massage modes are offered. They are kneading, tapping, knocking, and synchronous kneading/tapping. Manual massage of the upper body is available (three kinds of massage areas-overall, partial and fixed point-can be selected). The mechanical hands may be adjusted upwards/downwards when massage is performed on a fixed point. Three speeds are available for each massage mode. The width of massage balls may be set to wide, medium or narrow under the massage modes of tapping, knocking and stopping. Vibrating massage: the seat cushion may produce two groups of vibrations with 3 vibrating-massage balls; the calf may produce a group of vibrations with 2 vibrating-massage balls. There are two selectable vibration speeds for each massage mode. Kneading massage of the calves -three selectable speeds are available. The calf rest may be lifted/lowered independently; also the calf rest and the backrest may be lifted/lowered together. Two sets of controllers are available-a simple controller fixed on the massage chair and a hand-held wireless remote LCD controller. 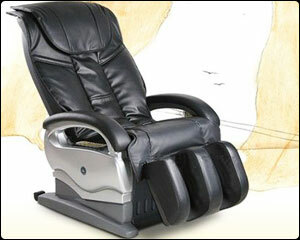 The massage chair may be rotated freely leftwards/rightwards within 90 centigrade. Automatic rising bedstead organization, can make back and shank of human body make upper and lower degree of regulation (manual to hoist or lower bedstead organization can make back angle regulates ). The massage mattress of the gasbag, the core adopts the sawtooth type structure memory silk floss of the Great Wall or zero and presses the silk floss in the mattress, dispose the atmospheric pressure massage gasbag separately on the shoulder , waist , buttock and shank of the mattress corresponding human body; The shank , buttock and waist have vibration massage. Space memory pillow or zero space pigeonhole pillow, silk floss its quality have countless holes, it is good to be ventilative, it is fast to dispel the heat. Other frame model with brief fashion.